Located in downtown Washington DC's Lafayette Square across from the White House, guests of The Hay-Adams hotel enjoy Washington's most prestigious address and spectacular, unmatched views of the White House and St. John's Church, the "Church of the Presidents. "The Hay-Adams is also convenient to the McPherson Square and Farragut West Metro stations and the convention center. The Hay-Adams, a luxury boutique hotel, is as close as you can get to staying at the White House without a personal invitation from the President. Originally designed in the 1920s as a residential hotel, The Hay-Adams carefully emulates the ambiance of a distinguished private mansion on Lafayette Square. The 145-room boutique hotel in Washington, DC features 21 luxury suites with stunning views of Lafayette Park and the White House. All of our guest rooms exhibit the perfect combination of heritage, luxury, contemporary comfort and technology.Ideally situated in Lafayette Square and steps away from many of Washington D.C.'s famous attractions, The Hay-Adams is the premier destination for leisure and business travelers alike.Located in downtown Washington DC's Lafayette Square across from the White House, guests of The Hay-Adams hotel enjoy Washington's most prestigious address and spectacular, unmatched views of the White House and St. John's Church, the "Church of the Presidents. 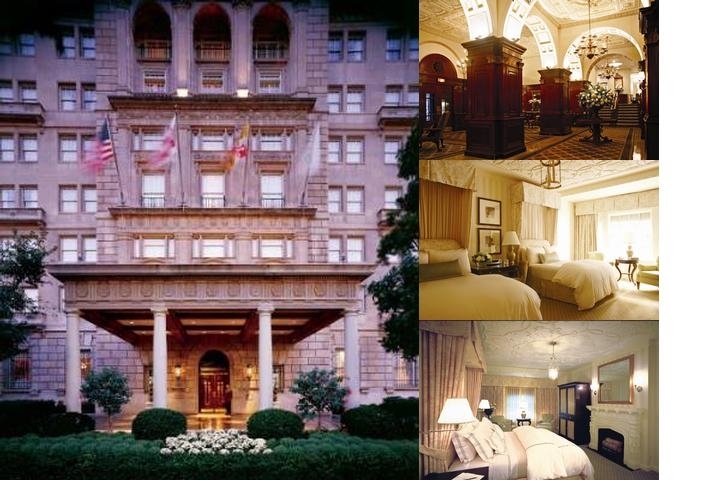 "The Hay-Adams is also convenient to the McPherson Square and Farragut West Metro stations and the convention center.The property features a variety of room types with different views, bedding options and lavish décor featuring marble bathrooms, intricately carved plaster ceilings and ornamental fireplaces and balconies in select rooms. Pets under 20lbs, with advance notification and signed pet policy at arrival. DCA is 5 miles and 15 minute drive from the hotel. 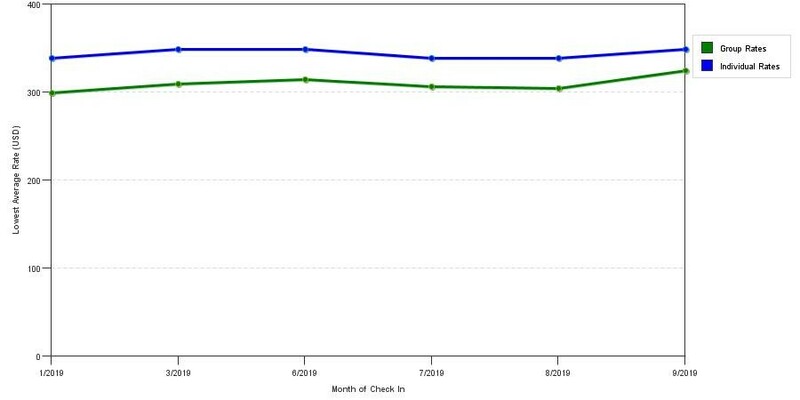 The graph above is averages of room rates for both group/meeting prices and the lowest online individual rates our system could find at the time the group bid was submitted. The most competitive group/meeting discount shown is 19.0% in February 2018 and the highest average individual rate is $529 in the month of October 2018. This chart will show past seasonality and also project future months. If you are flexible with dates, you may want to consider staying at The Hay Adams in a month when rates are lower.